USA Water Ski & Wake Sports and the American Water Ski Association are pleased to announce the athletes selected to the 2018 U.S. 35+ Water Ski World Championships Team, which will compete in the 5th 35+ Water Ski World Championships, Nov. 27-Dec. 2, at Lago Los Morros in San Bernardo, Chile. 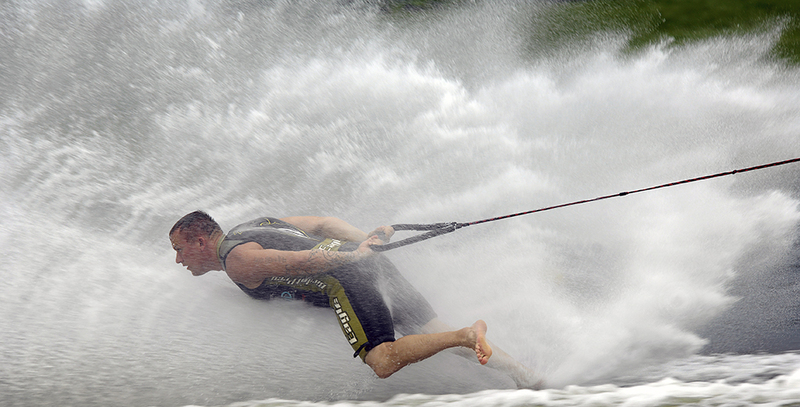 The American Water Ski Association’s International Activities Committee selected the team based on qualifications criteria previously approved by the American Water Ski Association's board of directors. Athletes selected to the 2018 U.S. 35+ Water Ski World Championships Team were: Cyndi Benzel (Groveland, Fla.), Dean Chappell (Decatur, Ill.), Graham Fizer (Talking Rock, Ga.), Joy Kelley (Loudon, Tenn.), Mary Koenig (Groveland, Fla.), Lori Krueger (Martindale, Texas), Mike Morgan (Odessa, Fla.), Brandy Nagle (Elk Grove, Calif.), Marc Shaw (Ocoee, Fla.) and Jimmy Siemers (Round Rock, Texas). Chris Travers (Groveland, Fla.) will serve as the coach. In addition to the team members, several athletes will be competing as U.S. independents at the biennial event. At the 2016 35+ Water Ski World Championships in Sesena, Toledo, Spain, the U.S. 35+ Water Ski Team won the overall team gold medal and 26 U.S. water ski athletes combined to earn 40 individual medals, including 14 gold medals, in respective events.